Request game prize for Steampunk-Blooper for winning second place in the February 2014 game. 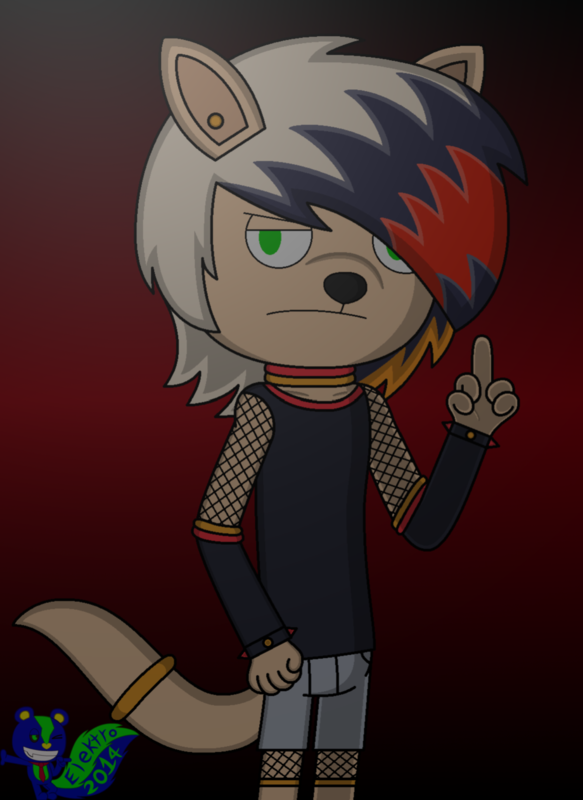 She wanted me to draw Jeremy, but she gave me numerous options on what outfit he's wearing (he's especially a scene/emo kid) and what style would fit best for him. I chose to draw him in my original style wearing the outfit that appeared in one of her Sonic doodles. He's "flipping the bird" just to show him that he's "evil."